Now that spring is here, or at the very least approaching, many of us might be getting ready to store our woolen clothes, hats, and gloves for the summer. No matter if those woolen goods are precious handmade items, expensive store purchased things, or thrift store treasures they keep us warm and dry during the cold months and deserve some protection from moths and other bugs while being stored. 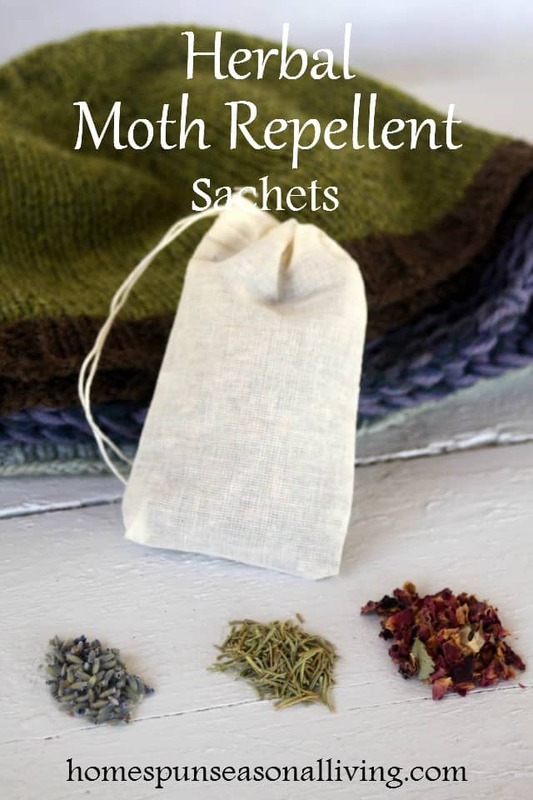 Rather than packing them away in stinky and chemical laden moth balls, try making these simple and delightful smelling herbal moth repellent sachets instead. Cedar has long been a natural moth repellent and while it does smell good and works, it only works for as long as the smell stays fresh and is something I have to buy as I don't have it growing on my homestead. Several years ago, I spent some time researching herbs that repel moths and found that I have many already growing in my herb garden and I bet you do too. 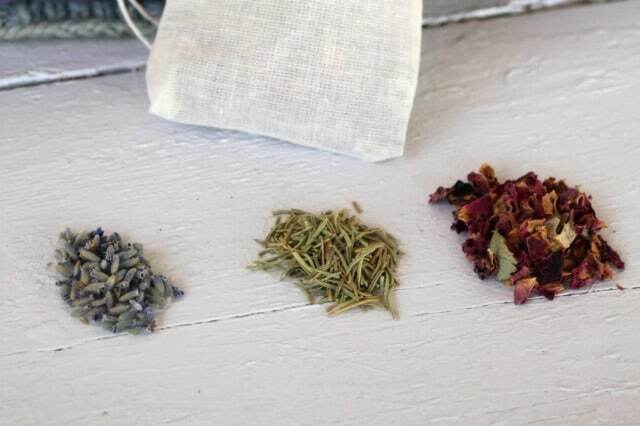 Stir the herbs together and place into muslin drawstring bags or tie up in a double layer of cheesecloth. To use: simply lay a sachet or two in the box of woolen goods to be stored. These simple little sachets make a great gift too. Think about giving one along with a homemade hat or scarf so that your recipient can protect their treasure. Note: After one season, the herbs will likely loose their smell and power in repelling moths. Simply compost the dried herbs and refill the sachets or consider using some essential oils of the same scents to refresh, if desired. I personally skip the essential oils here not wanting the oil to leave any kind of stains on my clothing but it could work in a pinch. How do you protect your woolen clothing from moths in the summer months? When I read the title I thought it said “mosquito”. It took ma moment to figure out why mosquitoes were getting in your woolens! ;-) We don’t have woolens to pack away but I wonder if this would work with pantry moths? I’m not sure if it would work with pantry moths or not, but it’d be easy enough to try. If you do give it a whirl, let me know if it works, please. I frequently toss a section of freshly clipped cedar bough into the box, So far so good. Apparently woolens attract the moths because they smell like the animal they came from… so meat/flesh. The greenery, any strong scented plant material, overpowers that and confuses the moths and they go elsewhere. Tansy works well too, as a moth repellent. Would be good to use in the sachets.